While millions of people have replaced books with reading digital books on iPads and other tablets, there is now something nostalgic and comfortable about the look and feel of a classic bound book. 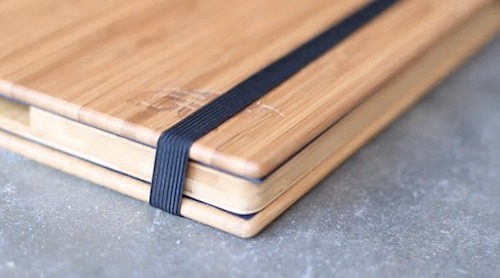 That’s what inspired Root Cases, a sustainable design company, to create wooden iPad cases that give them the look and feel of a book, binding and all. 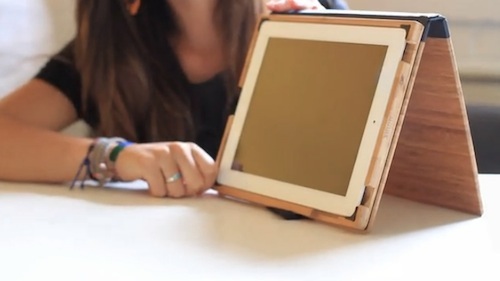 The eco-friendly wooden cases are made from sustainably harvested walnut and bamboo, sized to fit both the iPad 2 and iPad 3. Traditional bookbinding techniques are used to hold it together, and the cover opens just like a classic novel, with a sleeve inside designed to hold notes and other documents. There are cutout areas for the camera lens and speakers, so you can keep the case it on while watching movies, listening to music, and snapping photos. The rubber corners keep the delicate technology inside safe and secure, even in the display position. Interested in helping Root Cases out a little? 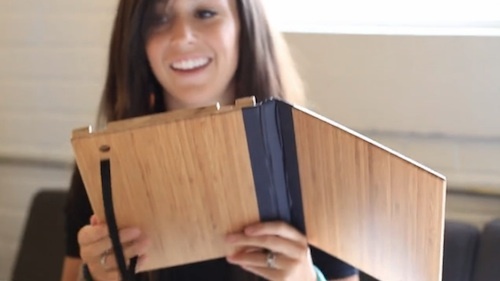 Right now the founders, Shane and Drew, have a Kickstarter campaign going to help buy the wood to make these new cases. The cases will run for $69 each, but for a $59 donation you can have the opportunity to snag one at a discounted rate. Have you made the switch to a tablet, or have you yet to part with classic bound books?